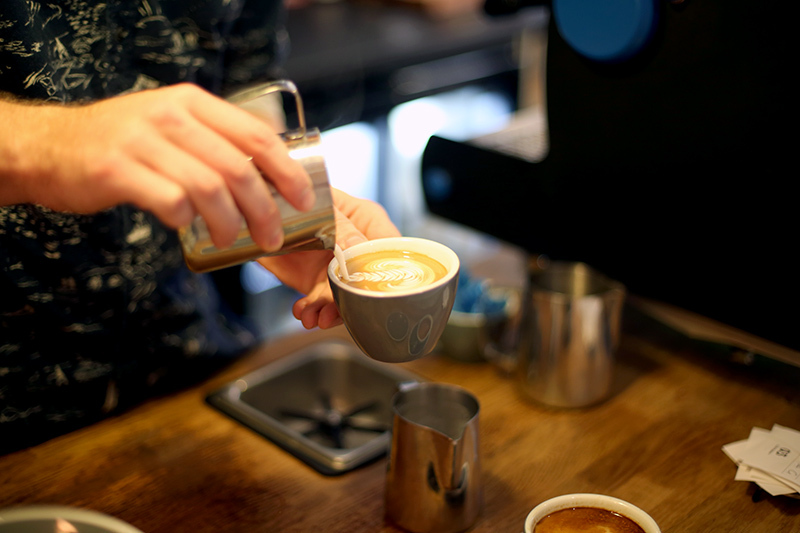 The rise in UK coffee culture has been explosive in recent years, with big name chain’s like Costa and Starbucks popping up all over the high street, the British public’s love for coffee shows no sign of slowing up. 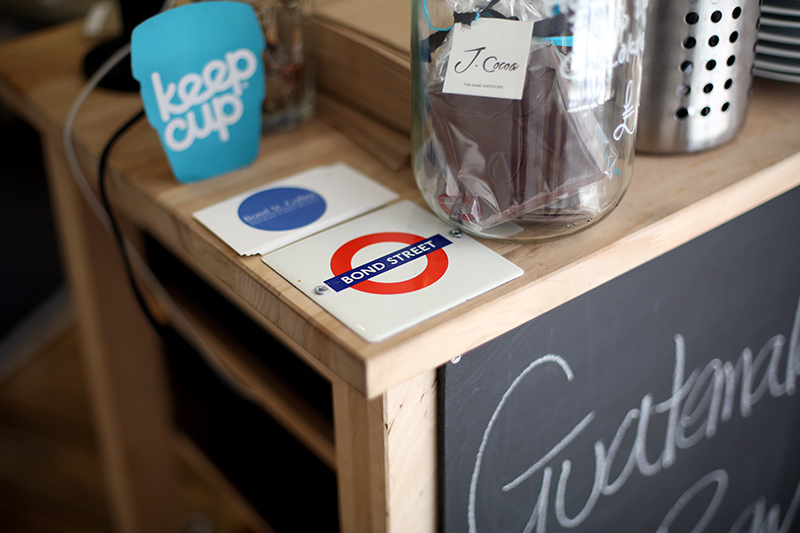 We are increasingly seeing more movement from the independent coffee shop also. As people continue to search for the best cup of coffee in their local town or city, it’s up to these smaller start ups to push innovation in the industry to compete with the larger chains. The quality of the coffee is extremely important but it seems as though there is a lot more thought needed when opening up a shop. It’s more than just the quality of the drink itself and rather the experience you have as a whole. 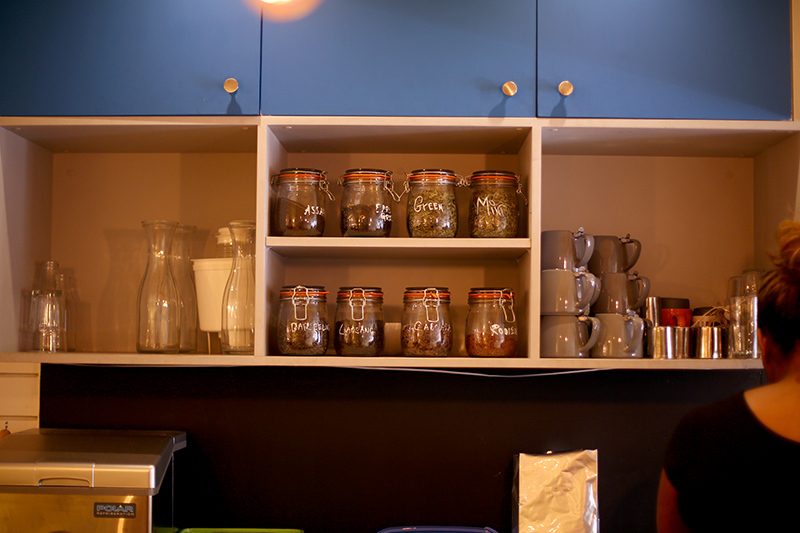 People want a place they can relax, socialise and even work while enjoying their coffee. 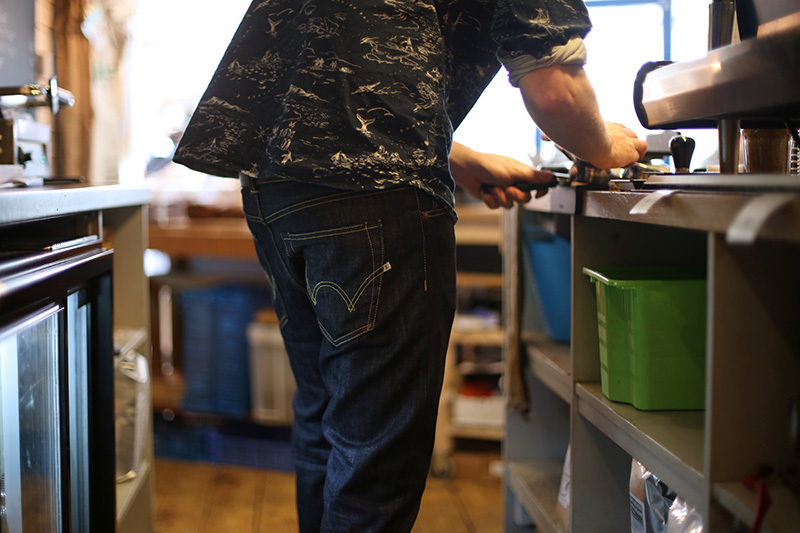 For our latest Edwin Jeans, As Worn By instalment we look towards coffee culture and speak to Chris Campbell, the owner of independent coffee shop Bond St. Coffee, that has recently opened in Brighton. It was a great opportunity for us to find out a bit more on what goes into developing and running a small coffee shop, and also find out a bit more on the coffee culture of a local town. Aligning with Edwin’s dedication towards craftsmanship and innovation, it was great to chat with Chris to find out his views on the movement but also to see how passionate he was about his craft. 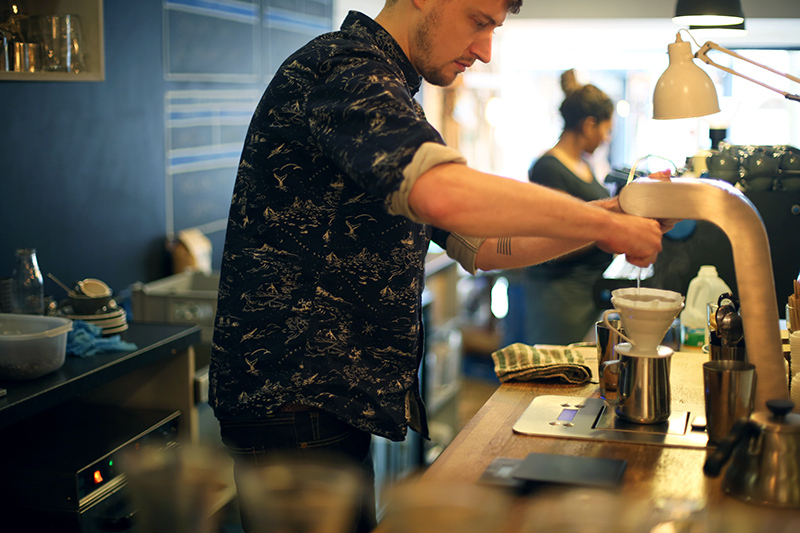 From the layout of the shop to the process of selecting the coffee, it’s clear that Chris and his team have put a lot of effort and thought into making Bond St Coffee a unique location that puts a lot of importance on quality and more importantly their customer. Hey Chris, can you tell us a bit about yourself and what you do? Hi! 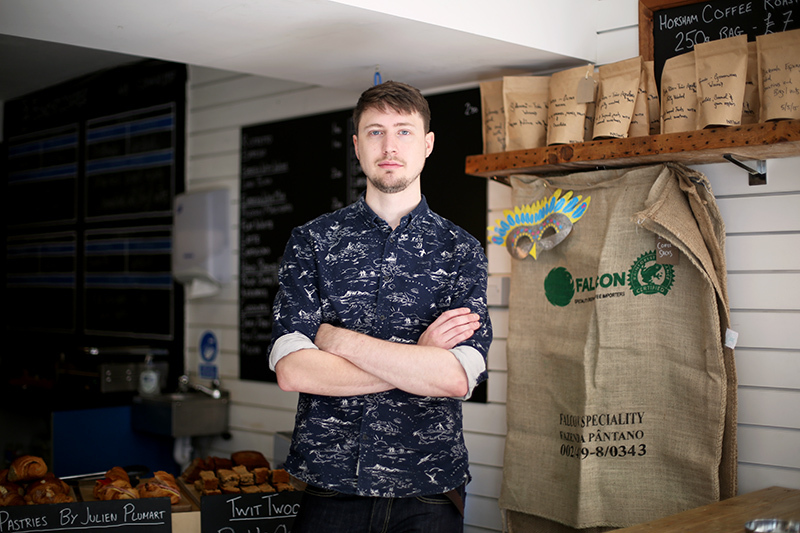 I am the manager and owner of Bond St Coffee in Brighton. 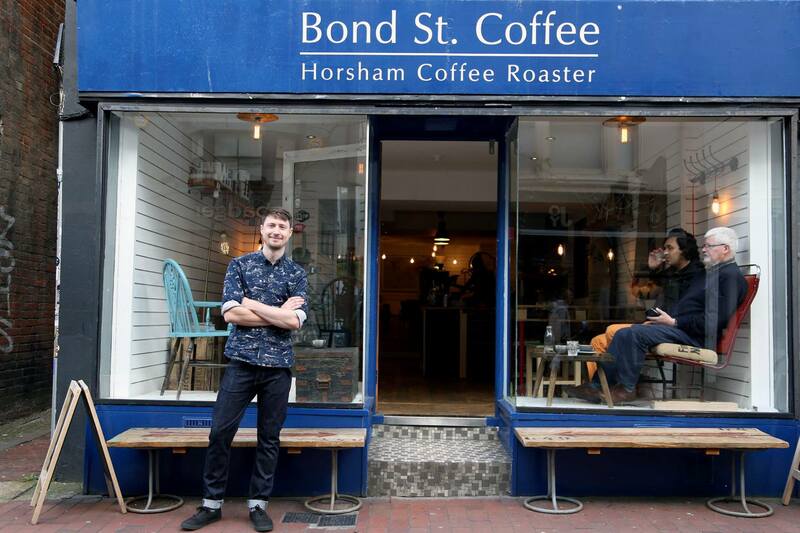 How did Bond St Coffee get started? 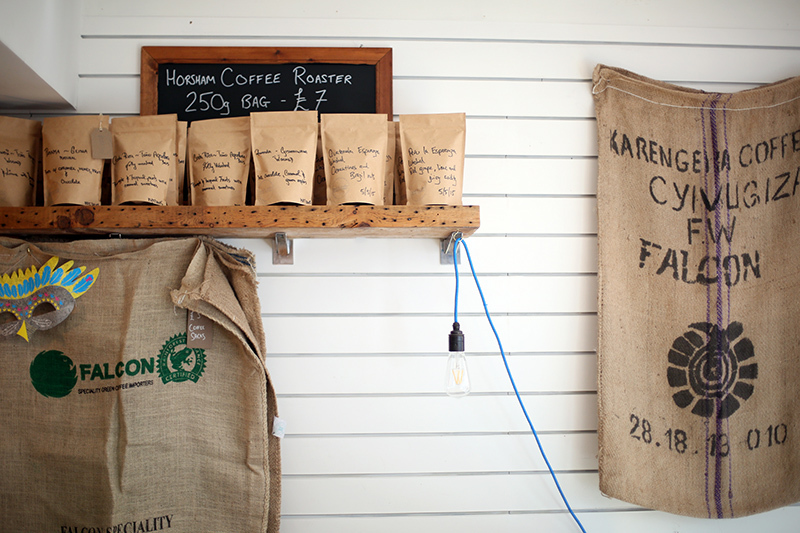 Around March last year I started working at Horsham Coffee Roaster which is owned and ran by Bradley and Amelia Steenkamp. We often talked about opening our own shop but it was more or less us day dreaming about how we would run one. Then around July last year we heard one of our customers was looking to move out of their shop on Bond Street. We came down and had a look around and instantly fell in love with the space! How important do you feel the location of the store is? Was it always going to be Brighton? I live in Brighton and I couldn’t think of anywhere else I’d like to work in my life right now. But I feel the success of the shop has a lot to do with it’s location. The footfall on Bond Street has meant we haven’t struggled finding customers! 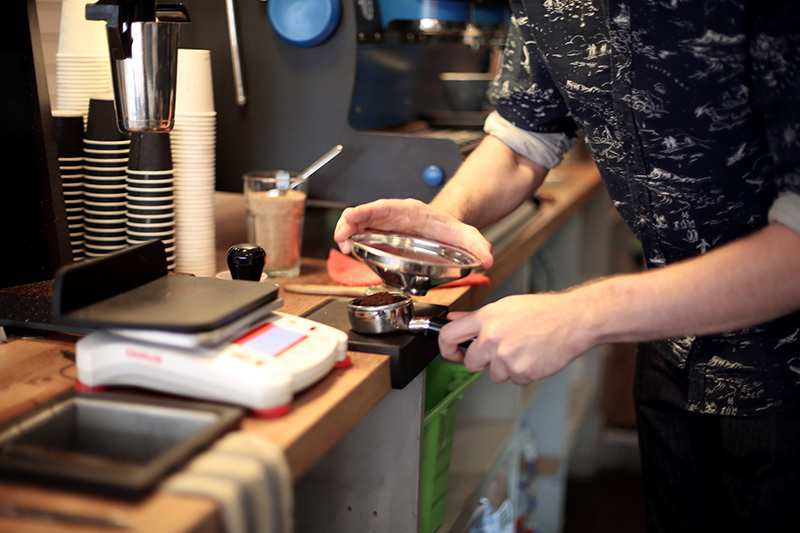 What is Brighton’s coffee culture like? The coffee culture in Brighton is so exciting at the moment. Marwoods have just opened a second shop, Coffee at 33 and Ground are both starting to roast their own and Silo have got their wonderful new coffee bar. 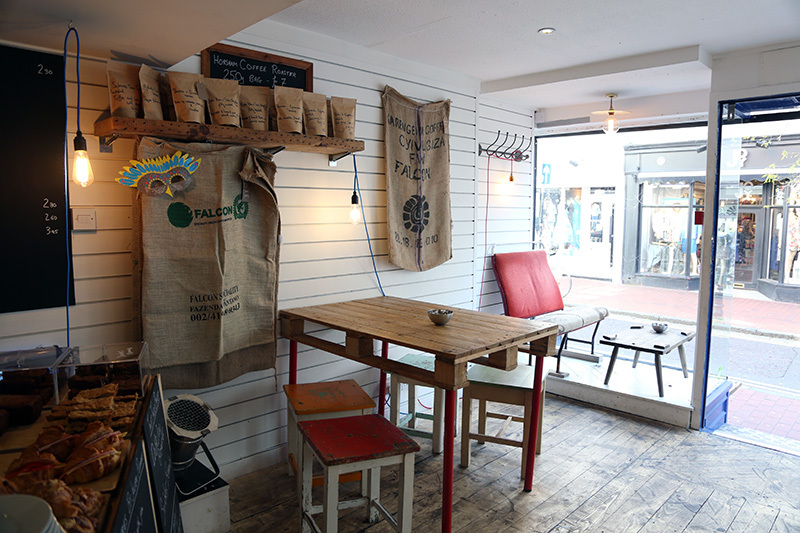 Its really exciting being a part of the growing coffee culture in Brighton. And just when you think there are too many coffee shops here in town another one will open that will be even more exciting still! 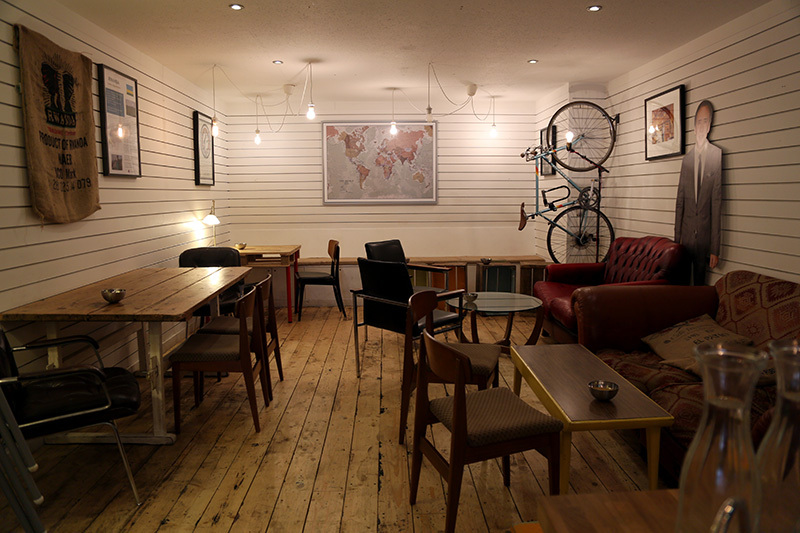 The shop certainly has a relaxed vibe to it. What did you consider while designing your space? How did you envision it looking and feeling? Amelia did a lot of the work on the interior design for us. We knew we didn’t want a commercial feel to the shop and Amelia has an eye for vintage furniture. We spent a day at Ardingly Antiques fair with a budget and bought nearly everything in one day! But its really exciting that the shops interior is still evolving, generally when the antique chairs start breaking! You have close ties with Horsham Coffee Rosters and work with a number of local food outlets. Do you place an importance on keeping things local? There is a really strong community feel in Brighton and we should do what we can to hold on to that. People don’t want to eat cheap frozen food from a warehouse, they want local fresh food from local people. I can buy a frozen cake in Iceland myself, but a Raspberry Chocolate brownie cooked at home by Twit Twoo Bakery, well thats something else! There is obviously a lot of care and thought put into the way you make coffee, from choosing the beans to the equipment selected. What do you want your customers to take away from the experience of drinking at Bond St? I’d love customers to stop blindly adding sugar and milk to their drinks. Im not opposed to people drinking their coffee with sugar, if I was there wouldn’t be sugar on the tables! But I feel it should be added like seasoning a meal. My baristas work so hard to try and make the coffee taste the best it possibly can, just try it first and see what you think it needs? Just the same as when you go out for dinner you don’t blindly start adding salt and pepper, or you go to a nice wine bar and ask for a white wine spritzer! 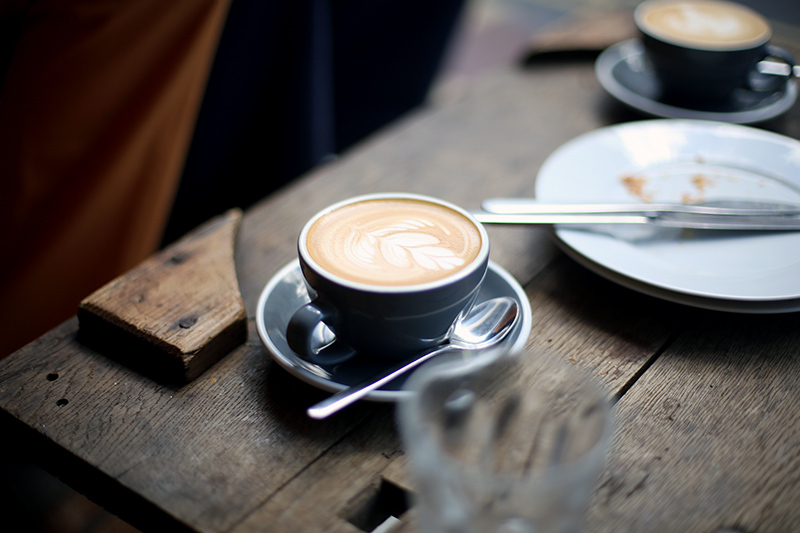 What are the most popular coffee drinks at Bond St? And what’s your personal favourite? We sell loads of flat whites. Its really great to see how many people have come away from drinking 20oz buckets of milk to shorted coffees where they can actually enjoy the taste of the expresso. 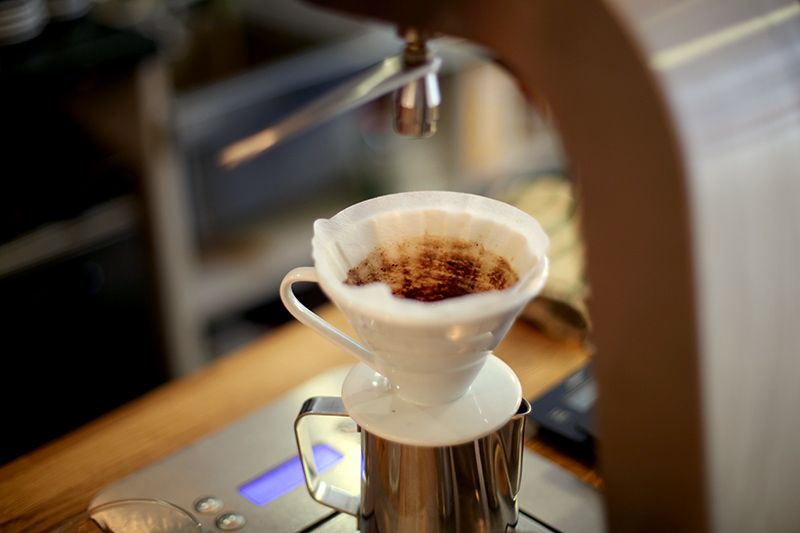 I love drinking a flat white first thing in the morning, but a V60 Drip filter is to me still the best way to taste a coffee! What’s next for Bond St Coffee? There is a still a lot we’d like to do with Bond St. We opened the shop with a fairly tight budget so there is still a lot of interior work we’d like to do. Maybe one day there will be a second shop but for now we are more than happy the way we are. Why do you wear Edwin? I’ve always loved Edwin Jeans, they are timeless! Ive had so many other pairs of jeans where the quality hasn’t been up to scratch and they just fall apart way too quickly. When I’m rushing around the shop all day its great having jeans that will last! Chris wears Edwin ED-80. You can shop our full range from Edwin HERE. 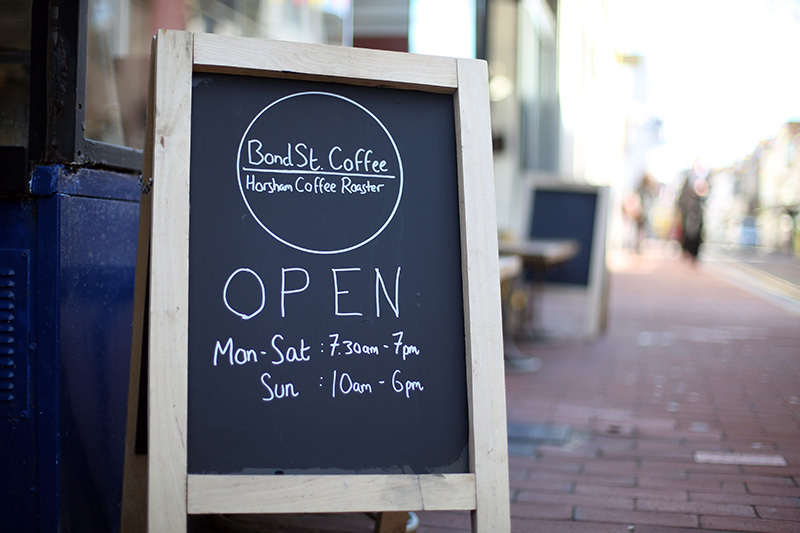 For more information on Bond St Coffee, head over to their website HERE. 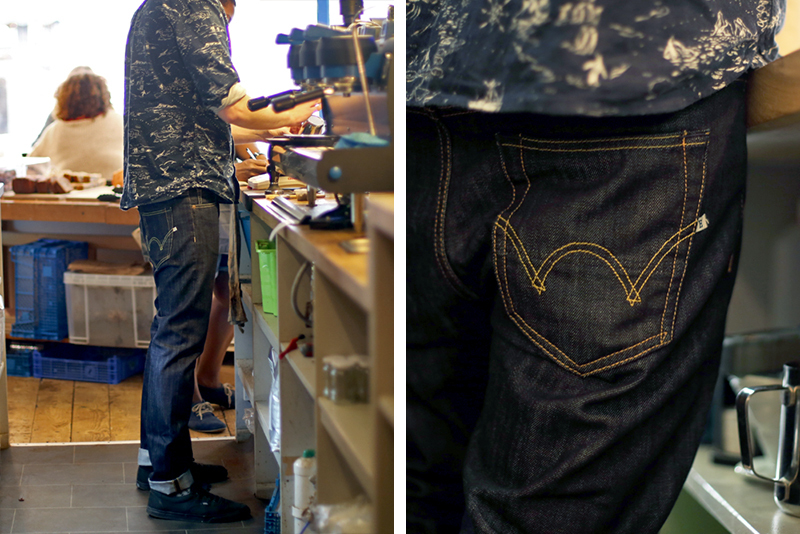 See our previous instalment of Edwin Jeans, As Worn By HERE.